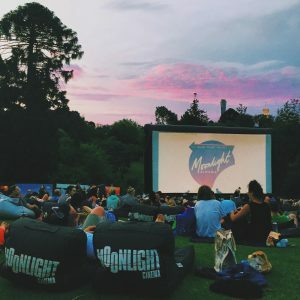 One of my favourite outdoor dates is going outside into the wild with a blanket and a basket full of snacks and wine to chill out on a Summer’s day in Botanical Gardens in Victoria. This idea is so simple but it’s so great! If you love cinema than there’s nothing better than enjoying outdoor cinema with Moonlight cinema at the Botanical Gardens. It’s available in Summer from December ’15 – March ’16. Showing advance screening like releases to cult movies. Pack yourself a comfortable blanket, bottle of wine and movie snacks as you cuddle the night away. It’s such a nice feeling to paddle down the Yarra River during the warm months of Summer or Autumn. Hire a double kayak, you can stop at the Herring Island to have a picnic lunch or cafe then follow down to Melbourne Federation Square and Docklands. This is an ideal dating that’s full of fun and splashing!